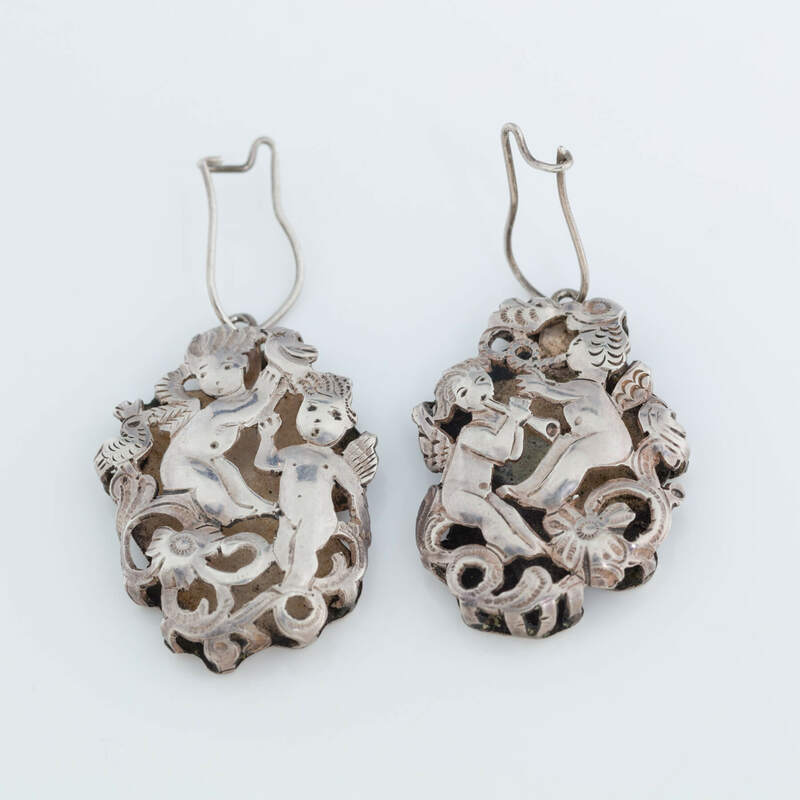 A PAIR OF STERLING SILVER EARRINGS BY ILYA SCHOR. New York, c. 1955. Hand cut. Each depicting winged cherubs on the front and figural depictions on the back. The bodies are 1.2” long, not including hook part.